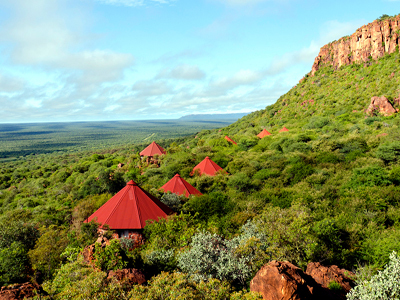 The Waterberg Plateau in Namibia, towering some 200m above the surrounding landscape, with sheer cliffs and fascinating rock formations, is one of the most spectacular features of the northern region of Namibia. 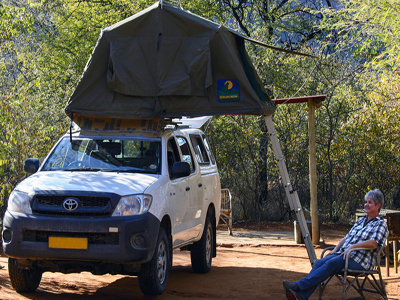 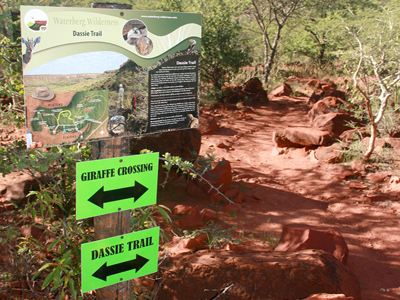 The private nature reserve Waterberg Wilderness is situated on the D 2512 gravel road, 28 km from the turn-off leaving the C 22 tarred road. 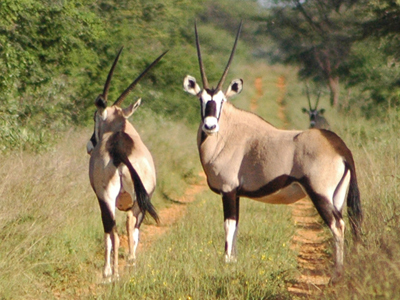 Daily guided drives are offered to the plateau, which is managed as a breeding area for rare and endangered species, including black and white rhinoceros, disease-free buffalo, sable and roan antelope. 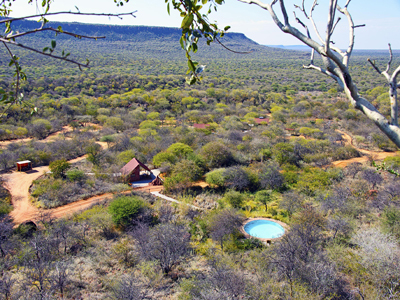 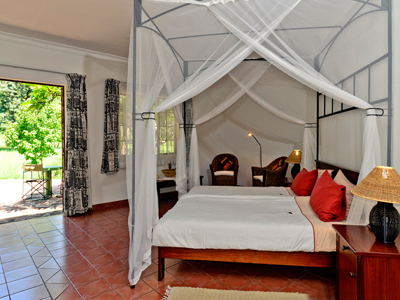 The natural beauty of the area can also be explored on foot, by means of guided trails or self-guided trails, as well as a number of short trails from the camp, offering spectacular bird viewing opportunities and a high diversity of interesting flora.